How to get an Ad Free Internet with Blockchain? Online ads as we know have become invasive and distracting, yet companies use them to get World Wide Web going. They are a necessity for the Internet’s ecosystem hence they are used in such a widespread manner. Like it or not, we certainly have a love hate relationship with ads. Most of us hate them, yet they continue to generate tons of revenue. Most blogs, websites, YouTube channels use ads. In fact, ads make it possible to access various sites. If there were no ads, chances are you wouldn’t be on this page. This is serious and needs attention, digital advertising system is rotting inside out and is damaging the Internet. It needs to be fixed instantly. Earlier occasional banners were seen while accessing websites. Not a decade has passed, the volume of ads has exponentially increased. Today we see ads floating everywhere. We have different type of ads like – banner ads, wallpaper ads, search ads, video ads, pop up ads, email ads and much more. Worst of all, advertisements are no longer confined to web browsers. They appear everywhere, be it games, applications or all the interconnected software. Besides, ads are used to track user activity, for this website use third party trackers to keep a check on users online activity and to create unique “fingerprint.” Even more, it is possible, that you are being tracked right now because it has become a norm these days. Shocked! Don’t be. The advertisement that you see on your phones or, PC reaches your device after passing various networks and making you pay for them. Thus, causing slow web page loading and eating your data plan resulting in phone’s battery drained out. The idea behind it is to replace the adulterated ad system with pure and better system, where users aren’t attacked with ads. New privacy focused browser called Brave. A browser with your interests at heart, it blocks ads and trackers that violate your privacy and costs you time and money. You must be thinking this can be achieved on Chrome and Firefox then why a new browser? Let me clarify, Brave is a browser that blocks both ads and trackers. Plus, it even records stats on the number of ads blocked by you and the amount of time saved due to faster page loading. This again raises a question. Will this result in an ad-free digital world? Not exactly. You will be able to understand it better when we will explain the second part. Brave browser is powered by a Blockchain based unit of account called the Basic Attention Token (BAT). “A new token that can be exchanged between publishers, advertisers, and users. All this takes place on Ethereum blockchain. The token can be used to obtain a variety of advertising and attention-based services on the Brave platform. The utility of this token is based on user attention. To further clarify, BAT isn’t a currency, it is a token that can be used to perform exchange between two parties. It can be used as a unit of account between advertisers, publishers and users on BAT platform. BAT means pay attention to websites, and get paid for it. If not now, then definitely in a distant future. Also Read: Should the Anonymity Around Cryptocurrencies Be Erased? Presently, the system is under construction and is introduced in different stages. Phase 3 – Involves reestablishment of ads in a controlled, efficient and private manner that users are paid to view – but last phase will take some time to be out for users. At present, Brave works in an unfinished state. You can use it without paying anything, but if you want to pay for the service, your money will be converted into BAT and will be distributed to all publisher websites. Plus, it is said that Dow Jones Group plans on teaming up with Brave Software. 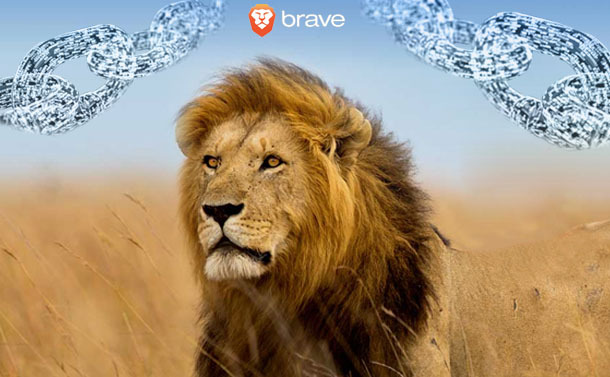 Once Phase 3 is completed, Brave will allow users to opt in to seeing a small number of advertisements, which will either appear in private tab or in-browser notification. Any ad that will allowed in Brave will be relevant to you without depending on fingerprinting and tracking services that stalk you to know what your interest is. Plus, you can also earn from the ads that you pay attention to. A win-win all around. How Will The User Get Paid? Ads that will be loaded in private will give user 70 percent of what is spent by the advertiser for the ad and Brave will take the remaining 30%. Once this platform will be completed, Brave will let user “cash out” and convert BAT into dollars, bitcoins, or any other currency. Plus, it will provide an alternate path to explore ad free Internet, where you can freely perform your activities without the fear of being tracked. Does this mean that soon, Google Chrome will become the new Internet Explorer and individuals will jumps instantly into the Brave bandwagon? Brave will rise slowly and steadily but BAT will play a big role. The Basic Attention token will be used widely, we can assume that it will be used by other applications and browsers as they all rely on ads. Looking at things there is a possibility that soon an open-source SDK for Basic Attention Token, will be released for developers not only to build new applications to gain attention but to integrate BAT into existing apps. “Nobody knows what the future holds,” but this model is expected to be the future of web standards. Blockchain technology will help you become controller of your own data. No longer third-party apps or browsers will be able to control your digital records, it will be you who will decide how you want things to work.